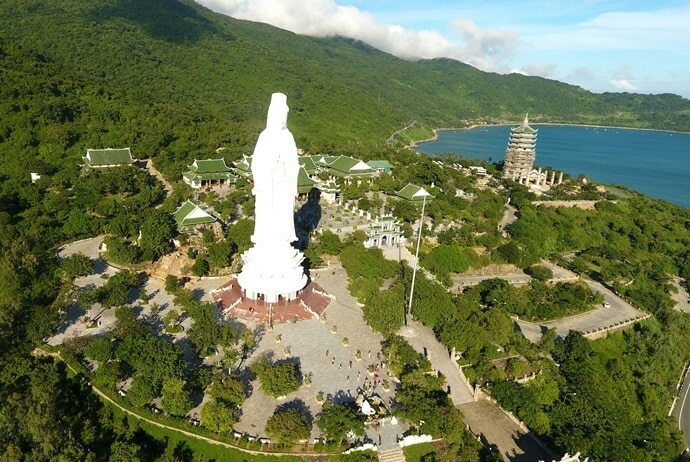 Being called “green lungs” of the Danang (Đà Nẵng), Son Tra Peninsula (Bán Đảo Sơn Trà) has long become one of attractive tourist destinations of Danang, in particular, and Vietnam, in general. This destination was recognized in 1997 as a natural reserve. There are over 100 species of fauna living in Son Tra. Son Tra Peninsula is not similar to other coastal areas in Danang because there are not many big resorts. Two resorts built up here are Son Tra and Intercontinental Resort. Upon visiting Son Tra Peninsula, you will never forget the feeling of full harmony in nature that you can hardly get elsewhere. In order to fully enjoy the most enjoyable experiences at this destination, read carefully our article below. What Is The Best Time To Visit Son Tra Peninsula? For the convenience of traveling and sightseeing, it is best to travel to Son Tra Peninsula from March to September. You can also go at other times; however, if you go in the foggy days, you will have trouble traveling, especially in the winter. How To Get To Son Tra Peninsula? Son Tra Peninsula is 8 km from the center of Danang city. It is a pristine forest with year-round cool weather and beautiful natural landscape. To move to Son Tra Peninsula, you can follow the direction from Hue (Huế) to Danang, go along Nguyen Tat Thanh (Nguyễn Tất Thành) and then pass through Thuan Phuoc Bridge (Cầu Thuận Phước) to reach Son Tra Peninsula. Or you can go from Hoi An to Danang by going along this route: the Truong Sa (Trường Sa) – Vo Nguyen Giap (Võ Nguyên Giáp) – Hoang Sa (Hoàng Sa) – Son Tra Peninsula (Bán Đảo Sơn Trà). Cars: If you are traveling to Son Tra Peninsula in a large group, renting a car is a convenient option. 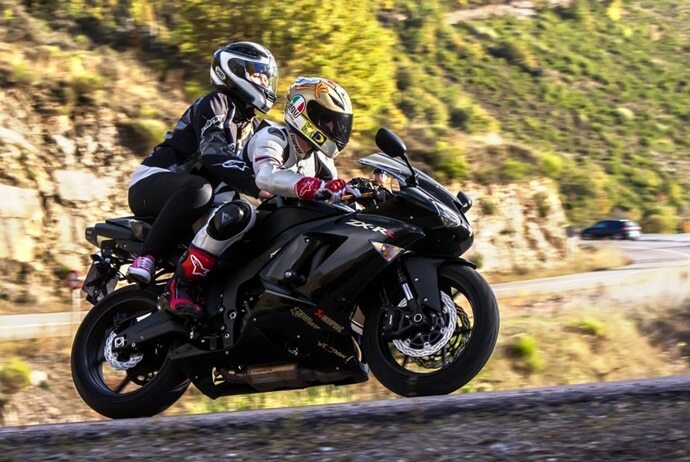 Motorbikes: Actually, exploring Son Tra Peninsula is best done if you move by a motorbike. Driving a scooter around this area will create an amazing adventure. The roads are nearly empty without traffic. It is safe to drive. Nonetheless, you had better use a scooter with good brakes and working well to drive up a significantly steep hill. Most motels and hotels in Danang have motorbike rentals. The price of renting a motorbike in Danang depends on its type and depending on the hotel. It is on average from 100.000 to 150.000 VND / day. Bicycles: If you want, you can experience the feel of biking up the Monkey Mountain (Núi Khỉ) on the winding roads around the coast. Where To Stay In Son Tra Peninsula? Son Tra Peninsula is a famous tourist destination, so the system of motels and hotels here is diverse in both quantity and quality. Most of the hotels, motels or resorts are near the sea, very convenient for moving to tourist destinations in Son Tra. Depending on your needs as well as your budget, you can opt for the most suitable hotels. It is best to consult and book a room in advance on some reputable websites such as Agoda or Booking. Upon visiting Son Tra Peninsula, you will be amazed at the diversifying fauna and flora of Son Tra. With more than 100 species, this peninsula is famous for the primate specie of langurs, which are a rare species and almost extinct all over the world. More than 300 langurs are found here. Travelers can discover the animals mentioned in the Red Book in the forest of Son Tra Peninsula. Furthermore, other precious animals like golden macaque, python and long-tailed macaque are also available in Son Tra peninsula. 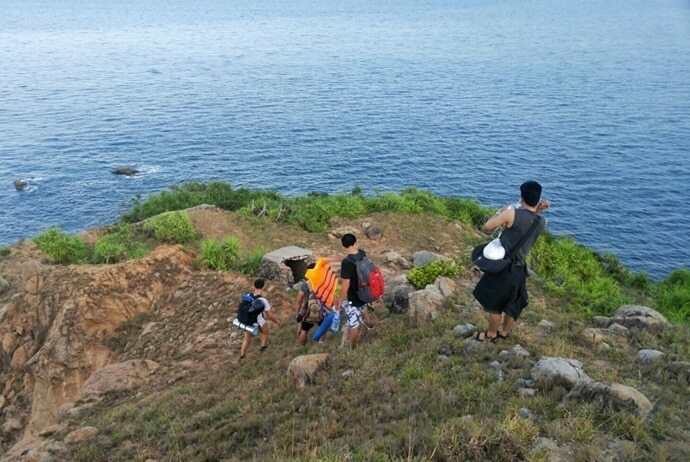 Not only is the conservation and protection of Son Tra Peninsula’s fauna and flora significant in regar to biodiversity protection, but it also contributes to the conservation of Danang coastal city in the long term. What Are Attractions In Son Tra Peninsula? It is called “village elders” of the forest. This heritage Banyan tree is 800-year old ficus on the peninsula’s southeastern end. The road to this tree is a narrow lane established from concrete slabs. Its crown reaches about 20 meters in all directions. From the branches’ roots, there are tree trunks which connect it to the ground. The entrance fee is free, yet you have to pay 2,000 VND for parking a motorbike (if any). This may be the most crowded site in the area. Another place that you should not ignore during exploring Son Tra Peninsula is Tien Sa port. Here, you can participate in exciting recreational activities in the Tien Sa eco-tourism area. 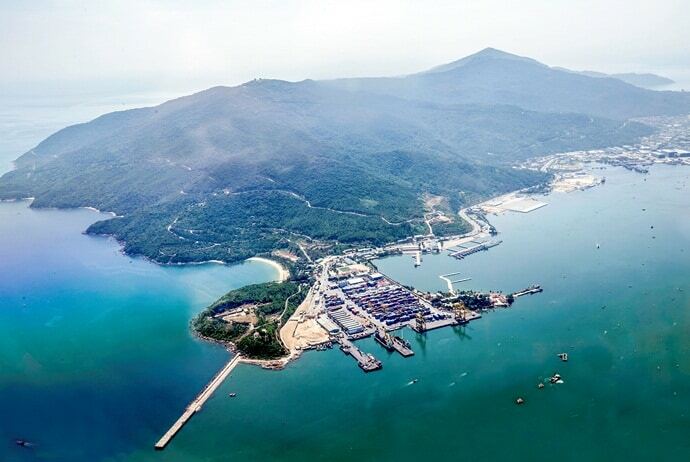 Together with the Han Riverport, Tien Sa port is one of the two major seaports of Danang city. It plays an important role in regulating traffic and economic development of Central Vietnam in particular and the whole country in general. Ngọc island also has another name as Ngu Hai Dai (Ngự Hải Đài). It is located offshore. The name of Ngoc Island derives from a legend when the King Quang Trung (Vua Quang Trung) appreciated the beauty of blue water and white sand of this place. After that, this name had been given by him. This island is located about 235 meters above the sea level and 60,000 meters in width. Surrounded by black rocky ridges, Ngoc Island is an attractive destination worth exploring. Tourists can join in coral tours, fishing tours and other daily tours included in Danang tour. Furthermore, there are also many beautiful resorts that tourists can choose from. The above are some tips and experiences about traveling to Son Tra Peninsula. Hope that they provide you with useful information to make your trip more interesting. If you have any questions, please leave a comment, we will reply as soon as possible.